Tracing their lineage back to King Solomon--the wisest man who ever lived--Rastafarians follow a spiritual tradition of peace and meditation that is more a way of life than an organized religion. During his 15 years living in Jamaica, Gerald Hausman developed deep friendships with Rastafarians and rootsmen, enabling him to experience firsthand the beliefs and traditions of these followers of the Kebra Nagast--the African gospel excised from the King James version of the Bible. He met bush doctors, Rasta preachers, members of the Marley family, and respected elders who knew Marcus Garvey, prophet of the Rasta movement and vocal proponent of the Pan-African movement in America. He also met elders who were present when Haile Selassie I, Emperor of Ethiopia and descendant of the House of David, came to Jamaica in the 1960s. Through interviews with fishermen, mystics, and wise men, as well as direct encounters with spirits and the spiritual, the author reveals the deep wisdom that underlies the “old ways” of the Rastas. He connects their stories, lives, and teachings with important biblical passages as well as reggae songs. He shares their views on the medicinal and meditative powers of cannabis--the sacred herb of Solomon--and explains that while Rastas believe it to be “the opener of the door,” they maintain that peace and understanding must be found within. 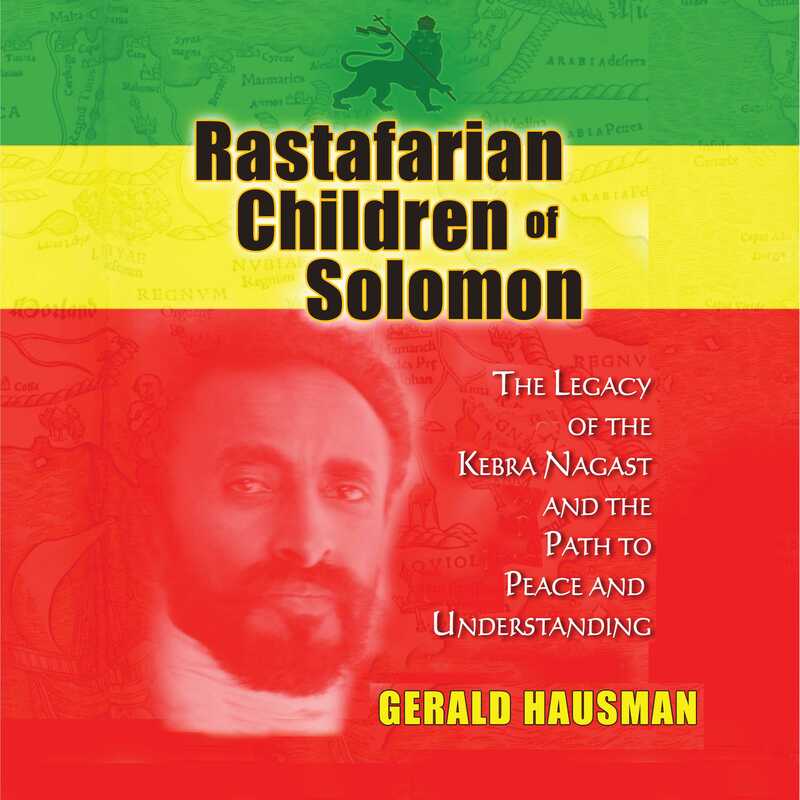 Illustrating the unwavering faith and hope of the Rastafari of Jamaica, Hausman shows them to be a people who, above all, emphasize equality, because the Holy Spirit within each of us makes us all one and the same. The Jamaican brethren sit around a table late at night, drinking in the cool trade wind that was once known as the “undertaker’s breeze,” because it combed the island only after dark. It is a great relief from the hot sun and hard work of the day. The gathering of Rastas, casual and unplanned, people coming and going in the yard, is the way of most evenings here in the small fishing village of Port Maria on the north coast of Jamaica. People come and go, stopping for a short while to let go of a few frustrations, tell a tale or two, laugh and smoke a spliff, sip a warm beer under the waning yellow moon. The voices, rhythmic as the rolling tide, speak about the day and their part in it. The people call this kind of easy conversation, this talking to one another with the heart, “reasoning.” And they feel that the use of heartfelt words raises common, simple human beings to a state of beatitude, of divine redemption. Tonight’s reasoning session begins when someone asks a rhetorical question about life; about the things that are important to do in this life. Then, as often happens in a Rastafarian community, people seem to fall out of the night, both men and women, to, as they put it, “Blink up thoughts, come together through the gentle art of reasoning.” By and by there is a large reasoning session, and the voices take on emotive hues. Some grow vexed and strident, others drop, low and wary. However, as the voices are raised and lowered, laughter spills out into the salty night sky, splashing at the feet of those who would argue to no purpose. Where there is laughter, there is no anger. The fire leaps up, finds no fuel, and is put out with laughter. I am listening, not really participating, just sitting and wondering how long this session will continue; I know, for instance, that it might go on all night. For each person is, in a sense, sending forth a devotional message. Yes, the session has turned, in its own way, prayerful. “This is what Jah give me,” a man professes, “but this is what I need.” He makes a kind of categorical list of things with which his life might move forward without obstruction. He is a fisherman, and he needs a new boat; he needs to catch more fish. He is traveling ninety miles out to sea, touching the coast of Cuba to catch fish and sell them back in Port Maria. He needs a good boat with a strong outboard engine to carry him. As I listen, I watch the moths that are called bats in Jamaica. They flutter about the open veranda. The small white owl, which people here still call “Patoo,” alights in a Poinciana tree, then drops down without a sound to the bamboo fence that separates the enclosed yard from the road. Occasionally a dog yelps, but the night noises are overruled by the dominant sounds of the sea. He seems reluctant to speak, as if something is tugging at him from the dark hill over the house, some secret magnetic attraction out there among the night-darkened mango and pimento trees. Everyone waits on his words. A silence has fallen over the group of brethren. “And what was that?” I ask Benji. Gerald Hausman is a frequent storyteller at college writers programs and at young authors conferences. Recently, he performed at the Young Authors Conference in Kaiserslautern, Germany as a guest of Department of Defense Dependent Schools. His lively presentations, complete with a myriad of sound effects, have earned him praise from storytellers, speakers, writers, and listeners.